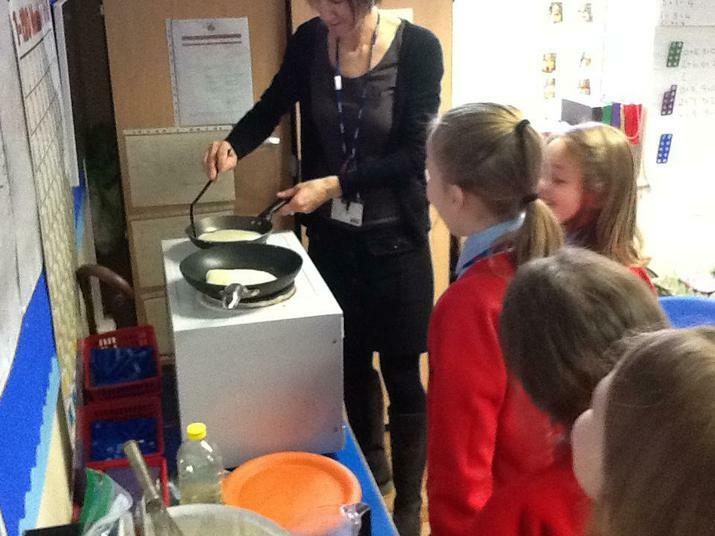 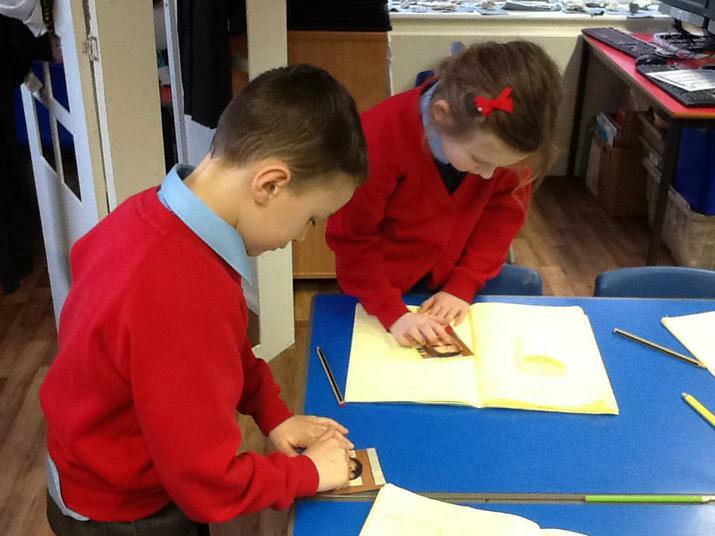 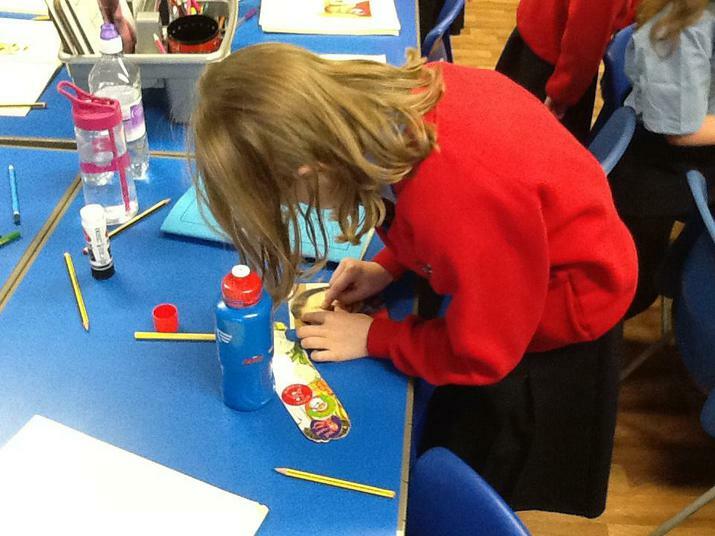 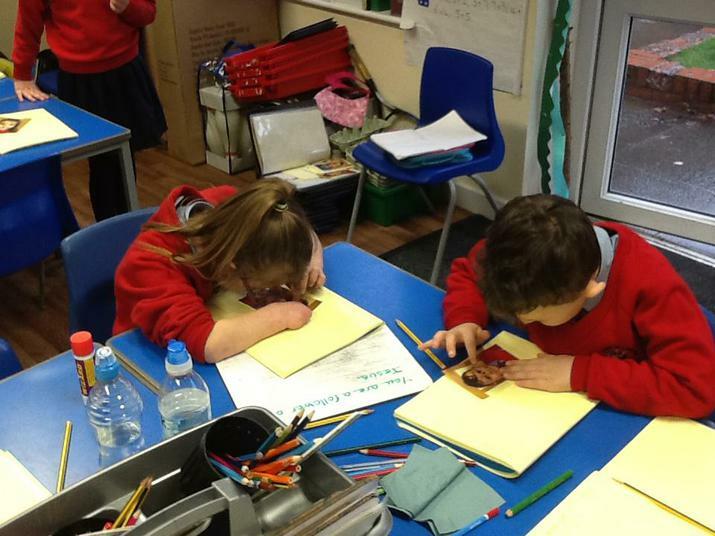 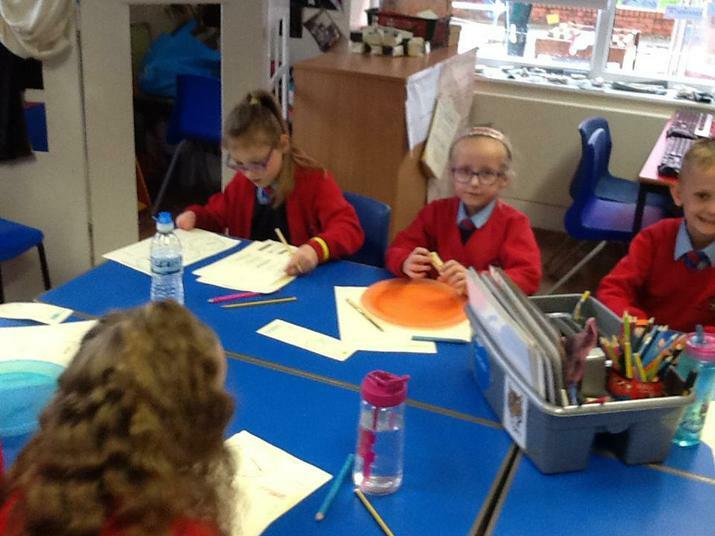 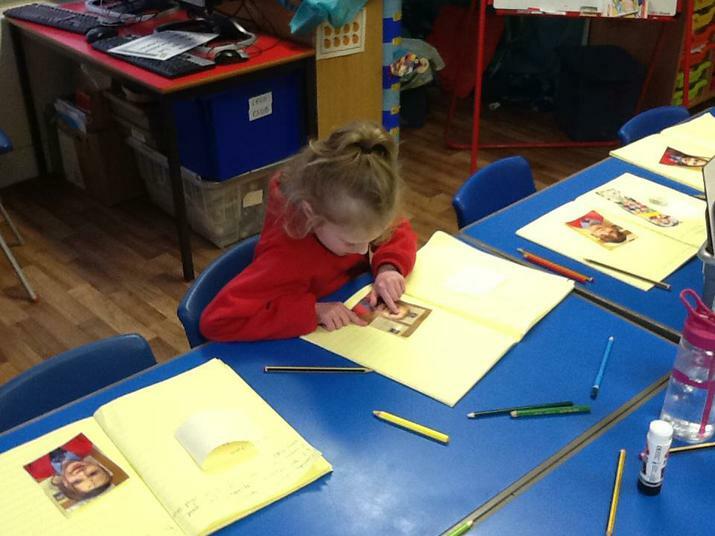 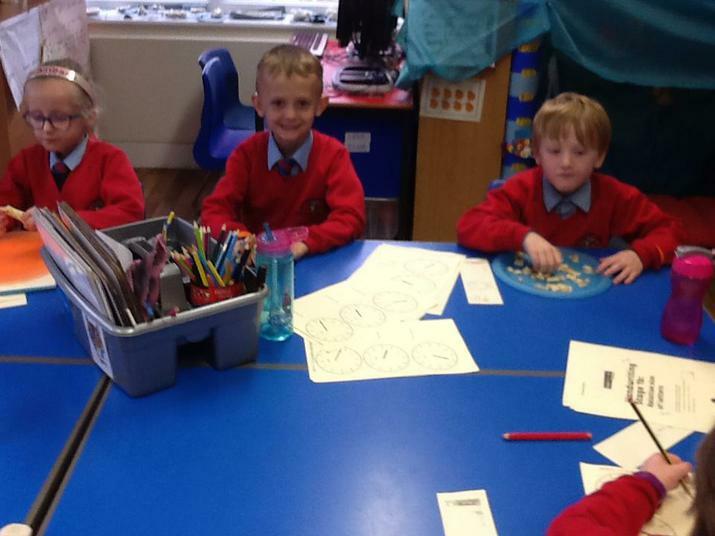 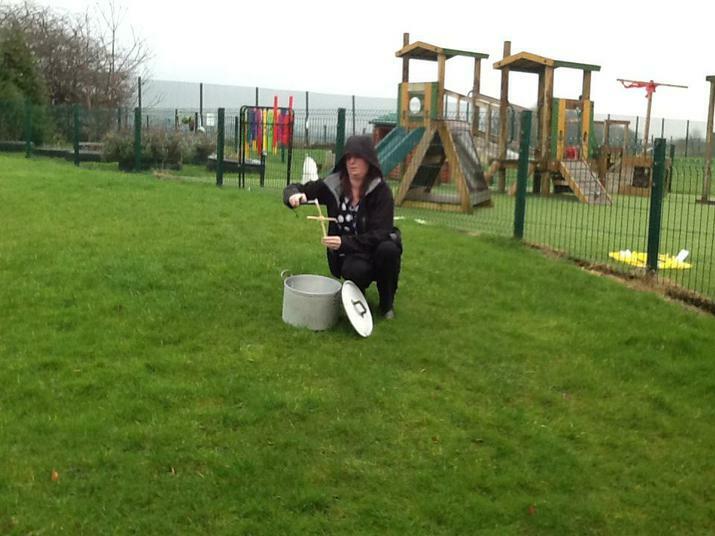 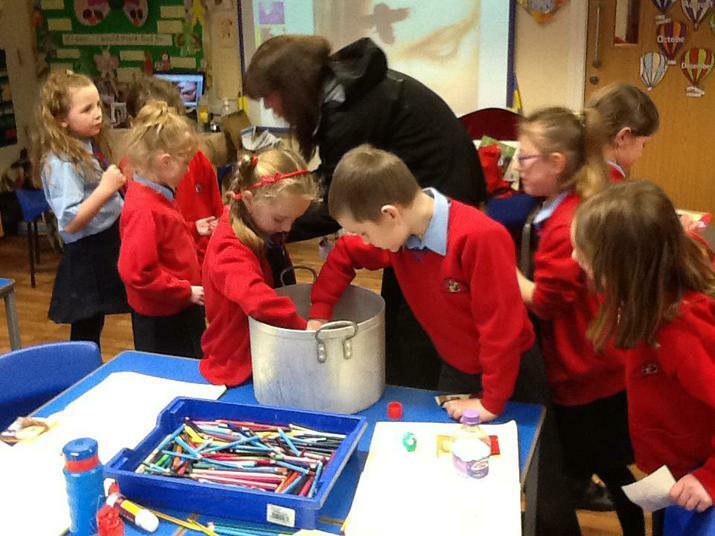 We began learning about Shrove Tuesday and Ash Wednesday. 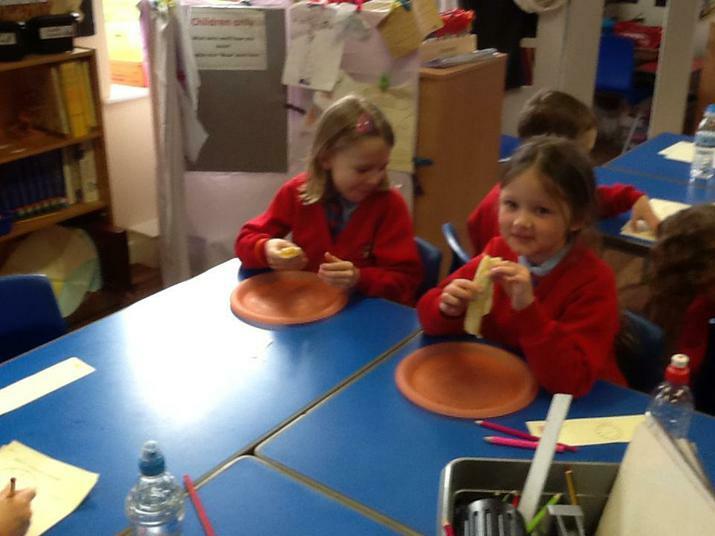 We ate pancakes and burned Palm Leaves to make ashes. 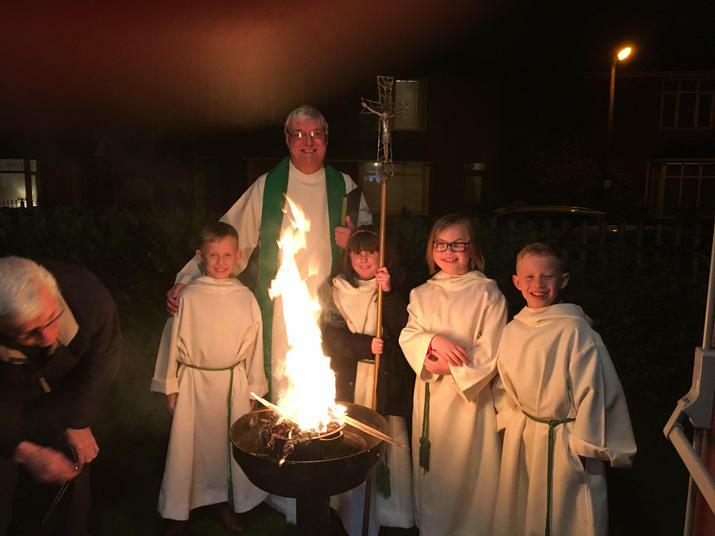 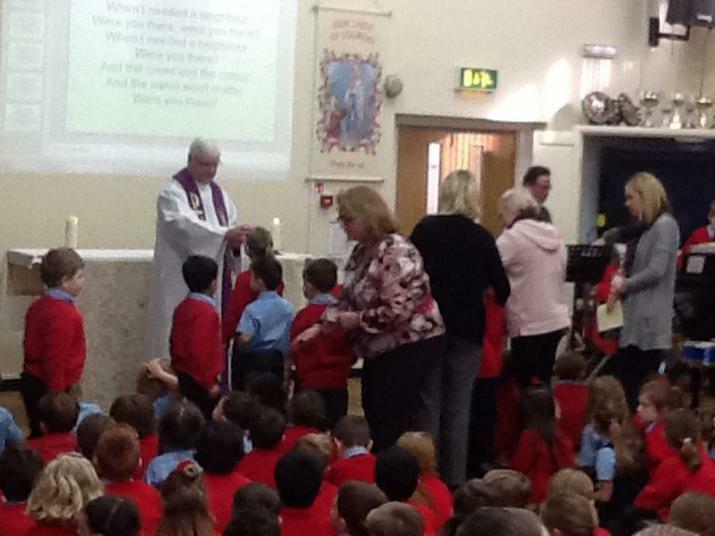 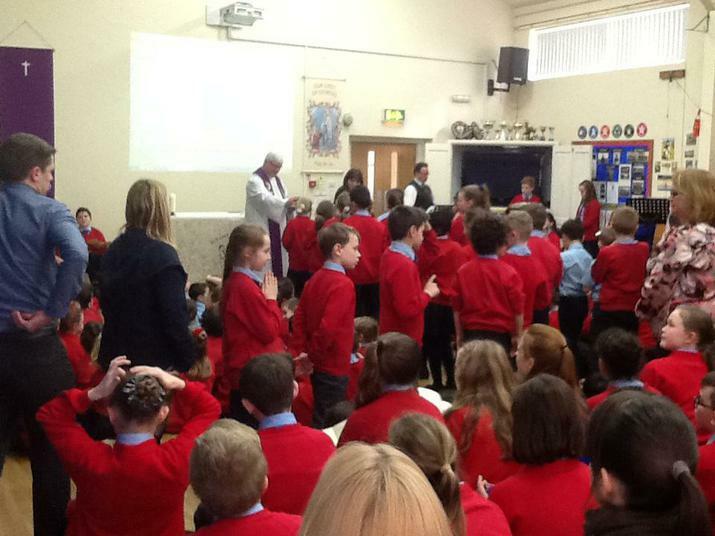 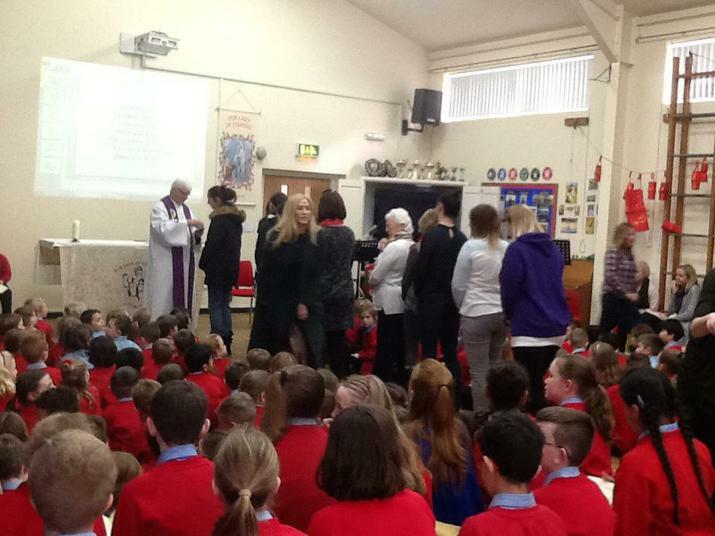 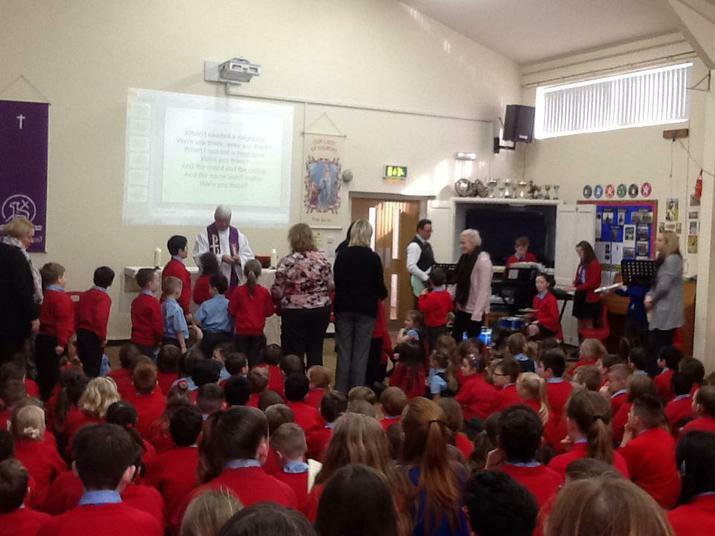 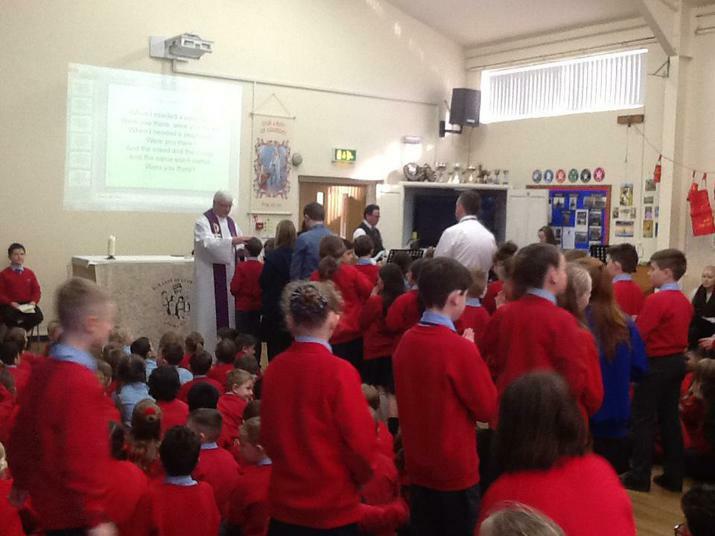 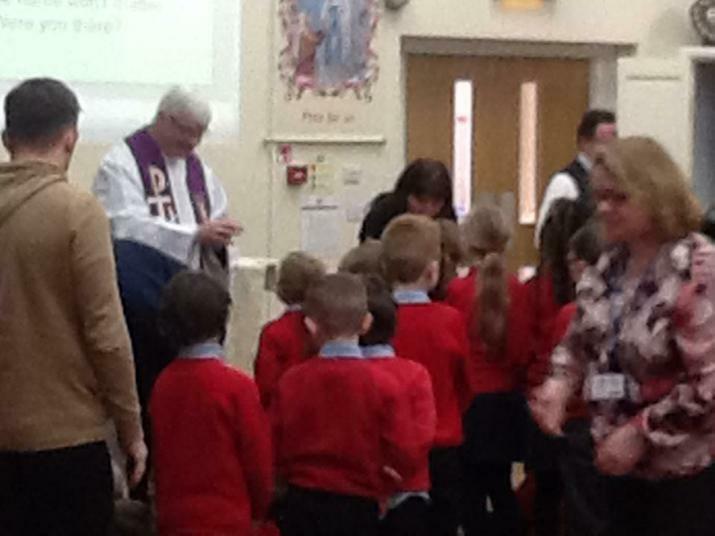 On Ash Wednesday, Fr Paul led a beautiful Ash Wednesday Service. 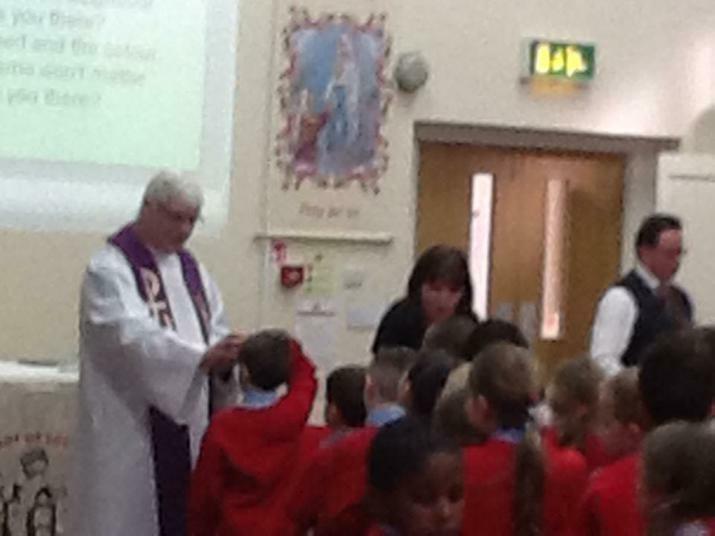 This week, we have reflected on what Lent means to us. 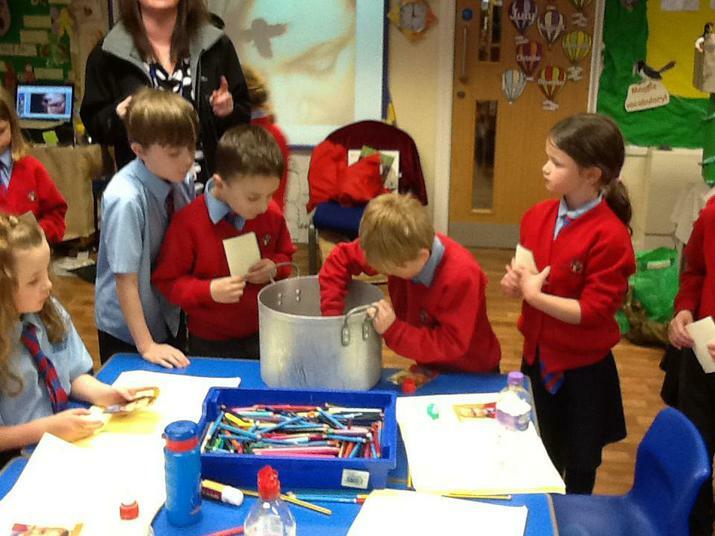 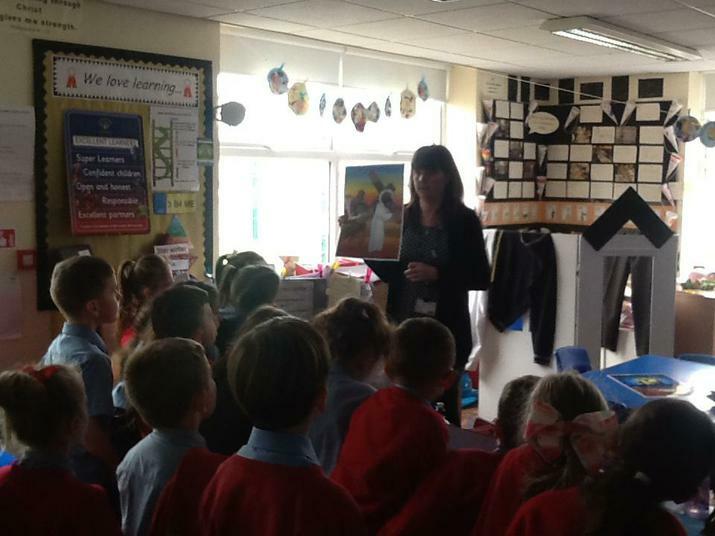 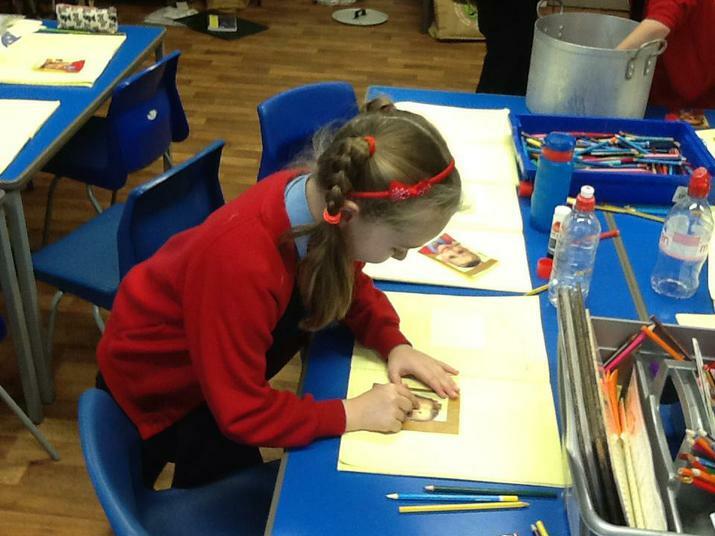 We reflected on what it meant to carry out a small deed to make a big difference. 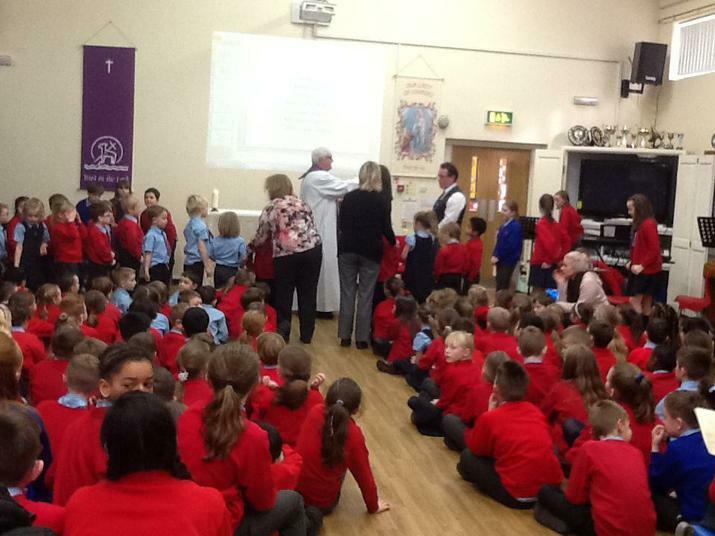 Preparing for our whole school worship. 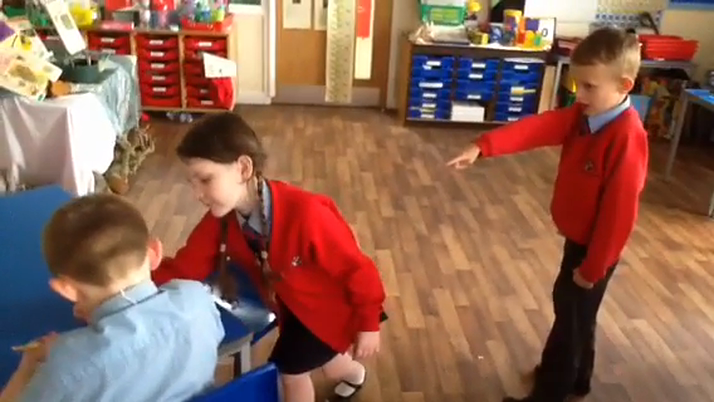 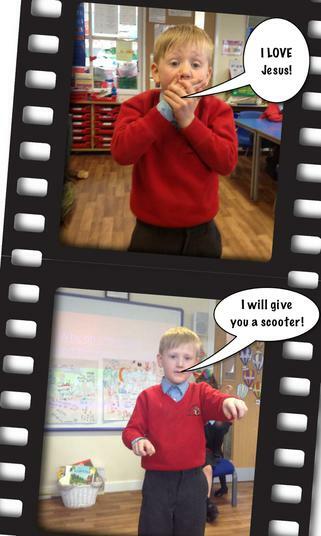 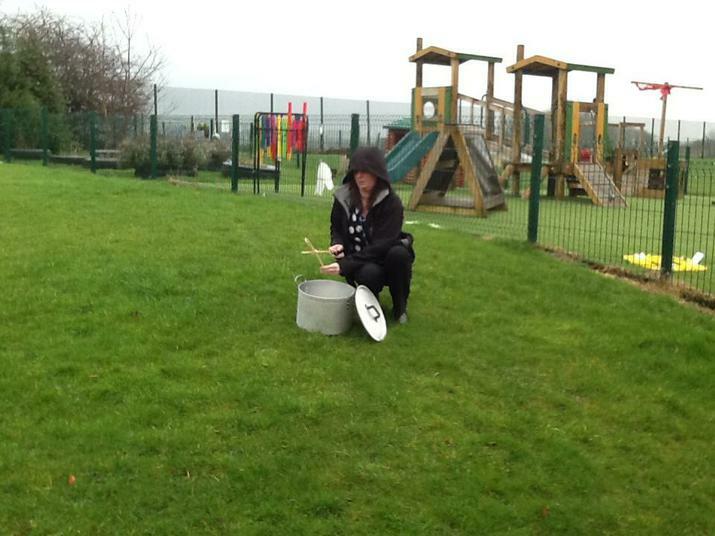 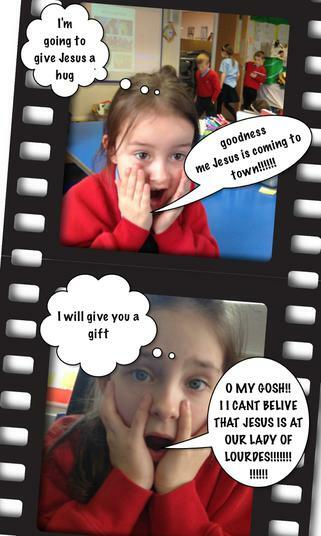 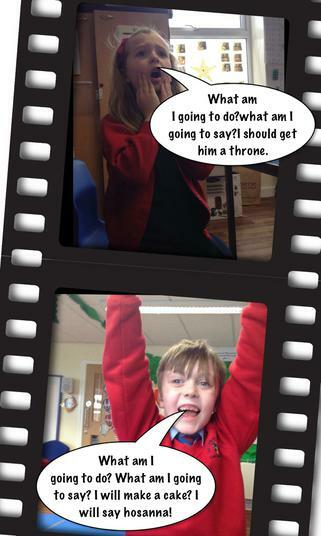 As part of a whole school project, we have produced a mannequin challenge for two of the 'Stations of the Cross'. 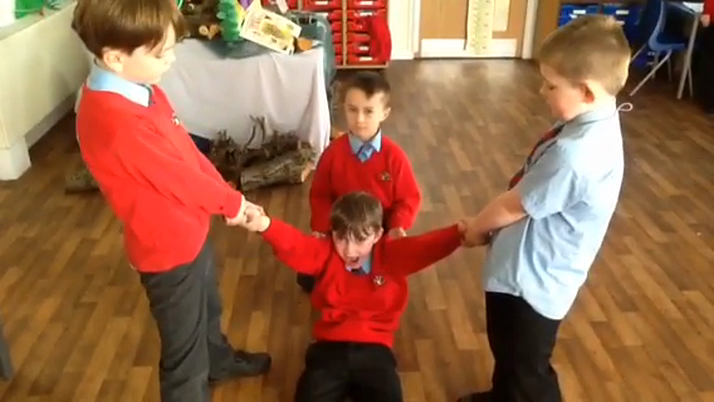 They are Jesus meets his Mother and Simon of Cyrene helps Jesus carry his cross. 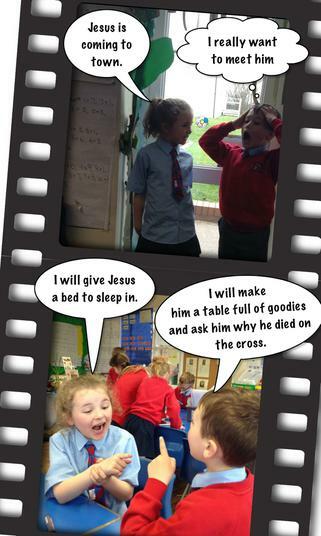 We have created a mixture of the actual scene that Jesus encountered and our own interpretation. 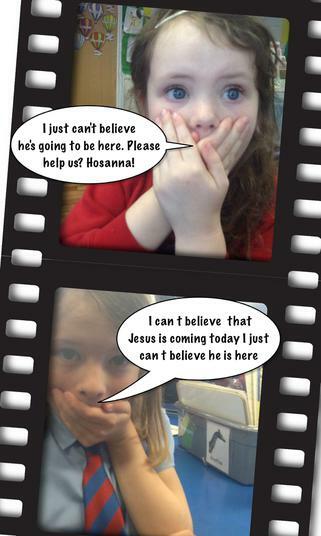 We watched a video about Palm Sunday. 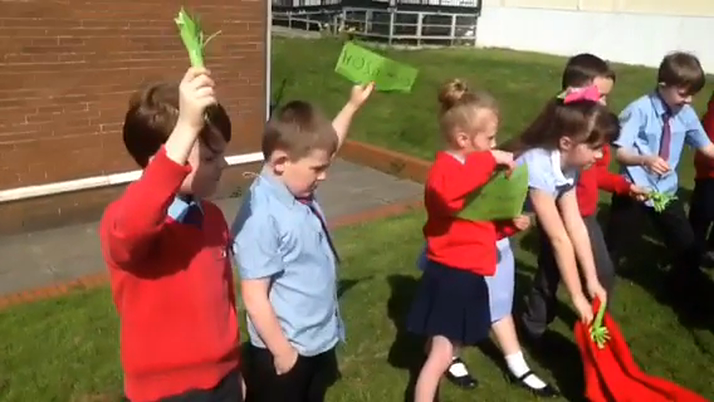 We then recalled the time when Jesus was greeted by crowds waving Palms. 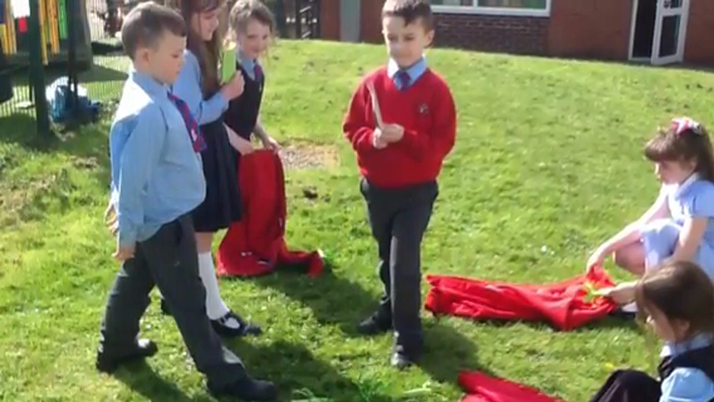 Our mannequin challenge helped us to explore the Question - Why do Christians remember Palm Sunday? 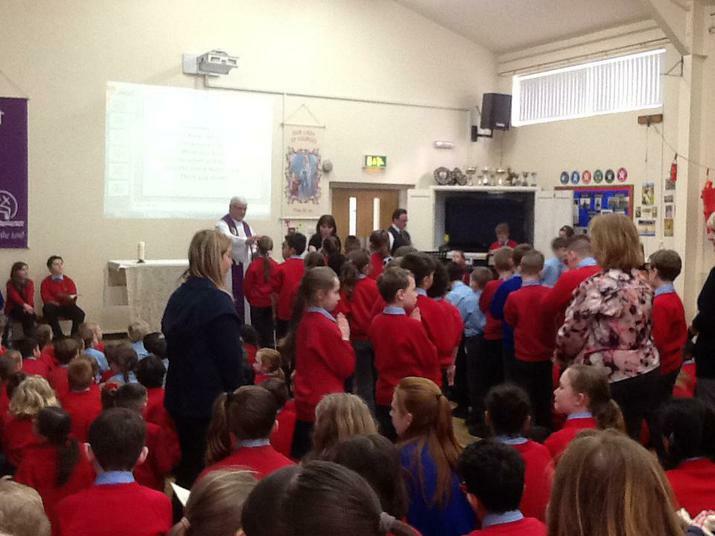 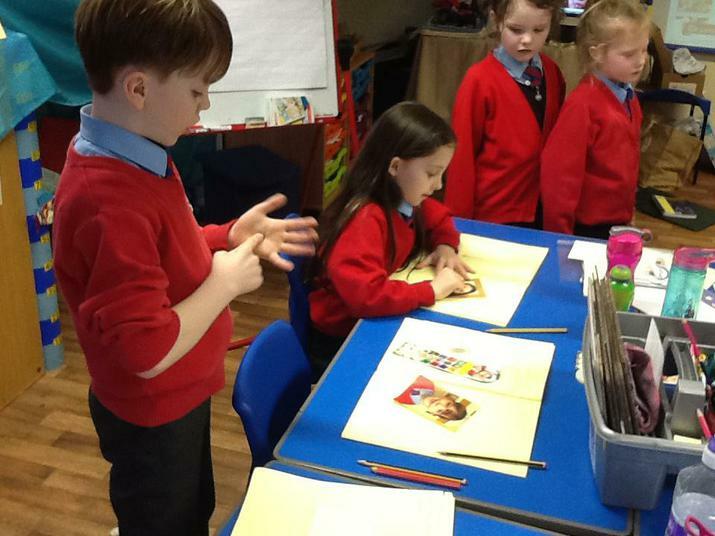 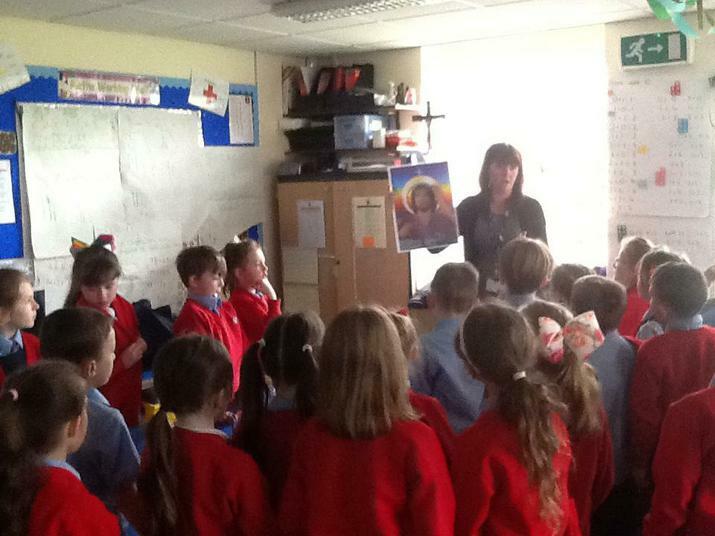 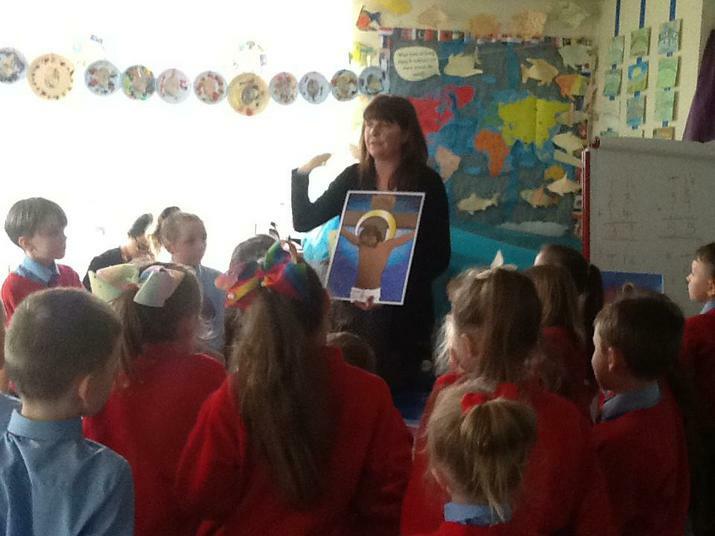 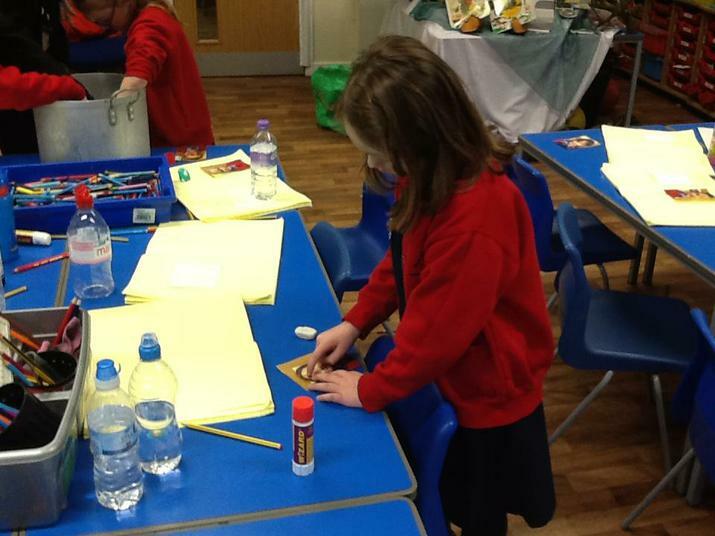 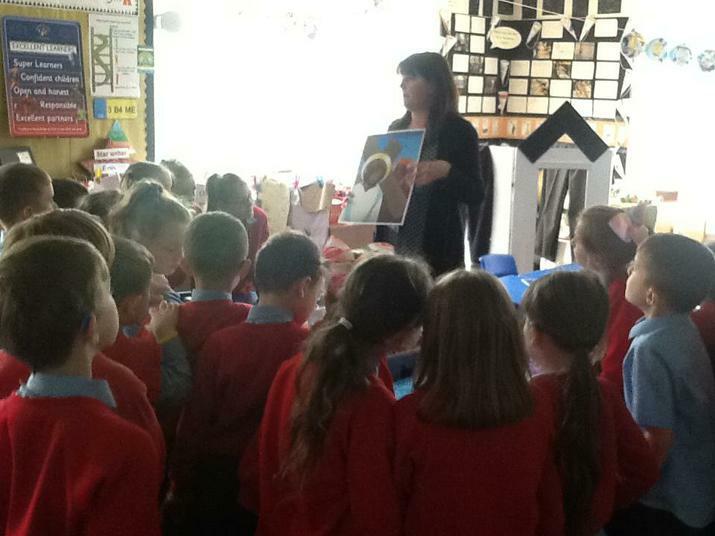 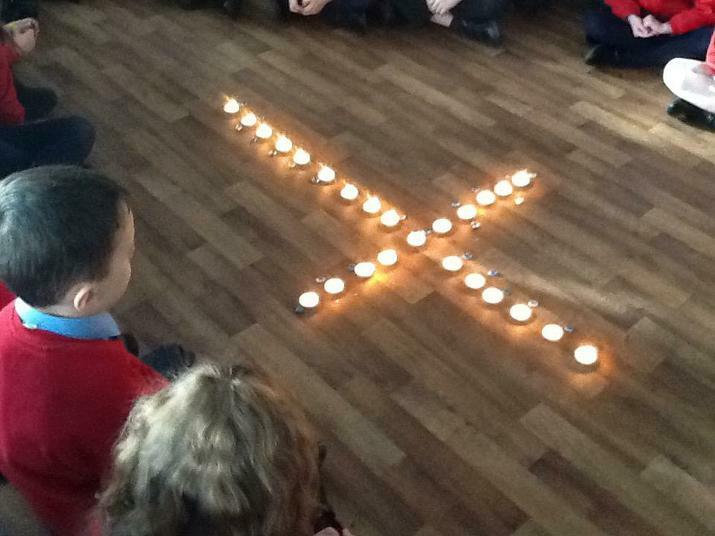 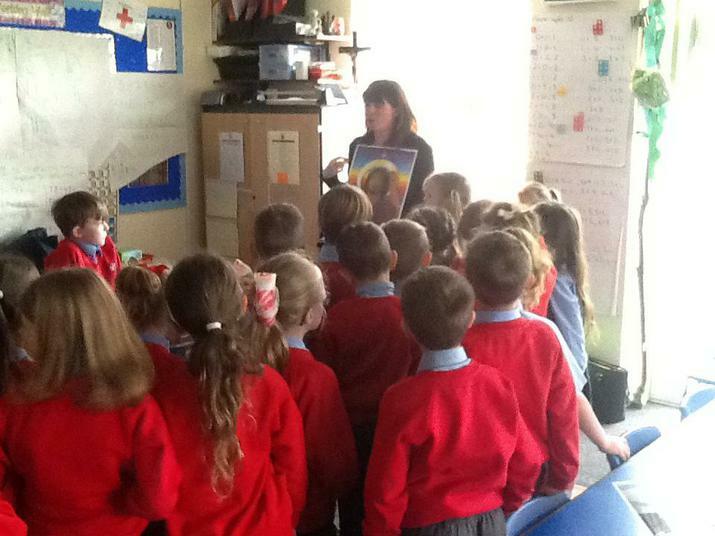 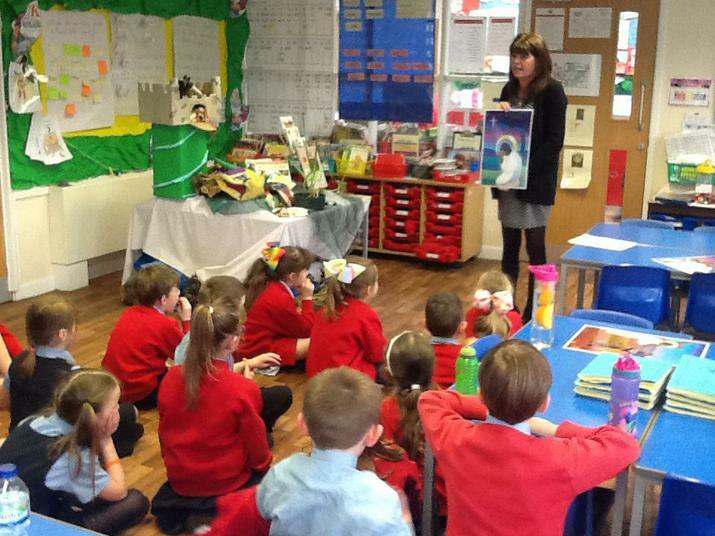 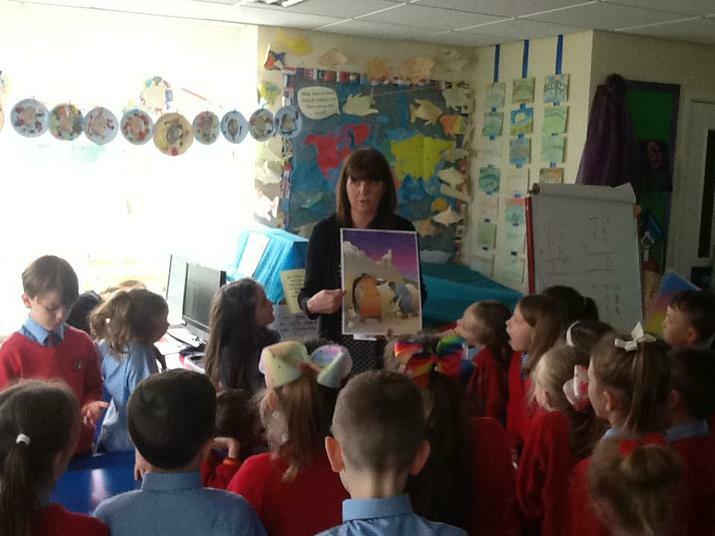 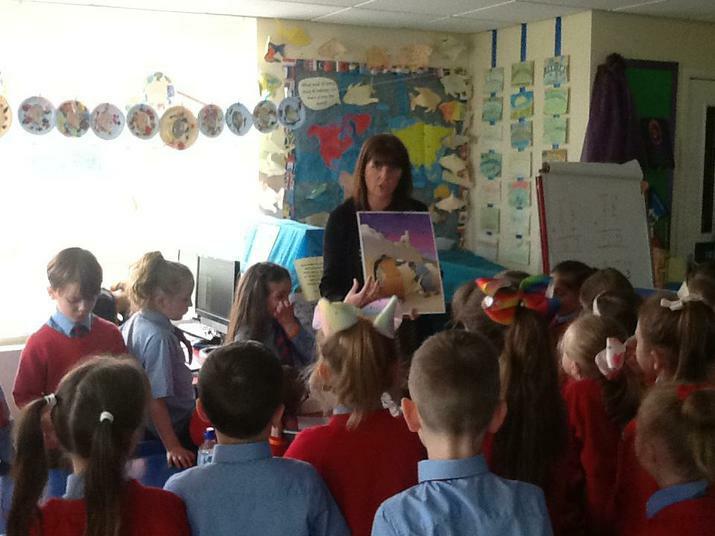 We continued our Palm Sunday activities by thinking about how we would welcome Jesus if he came to visit our school. 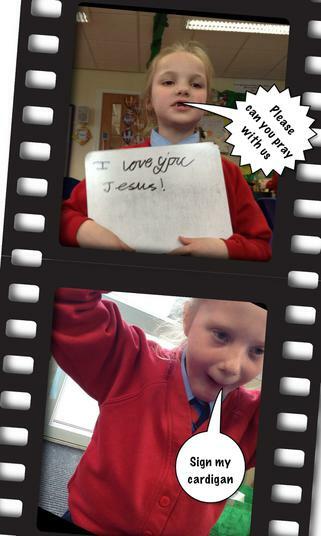 What we would do or say if Jesus visited our school. 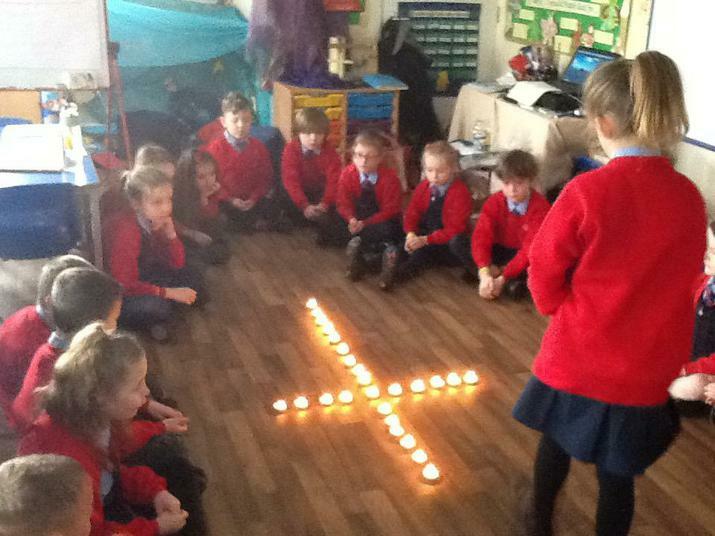 Alex, Eliza, Oliver, Poppy, Szymon and Jackson thought about what kind of celebration they would have for welcoming Jesus on a visit. 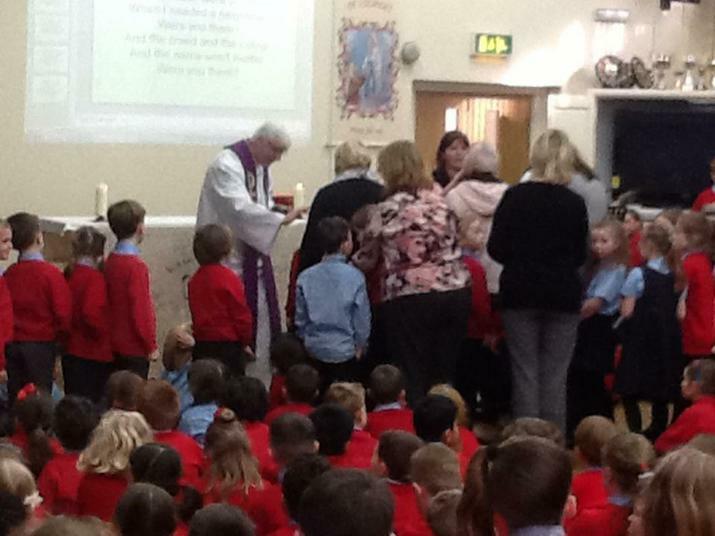 We recalled the events of Maundy Thursday. 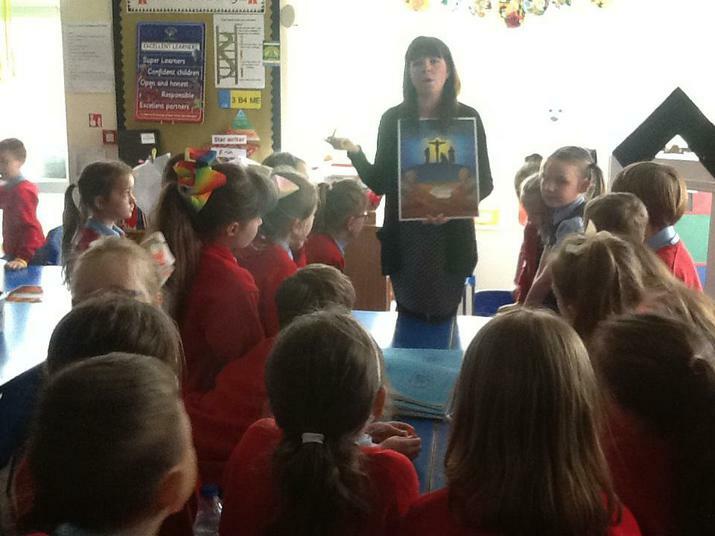 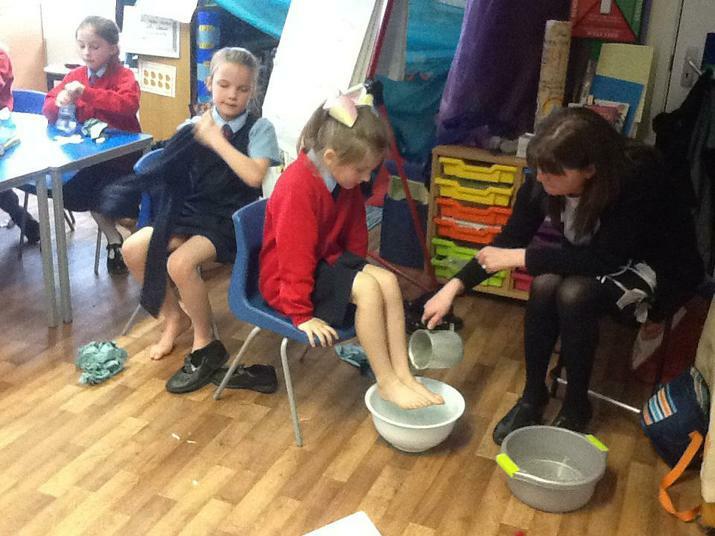 We learned about Jesus' meeting in the Upper room, washing of feet and the Last Supper. 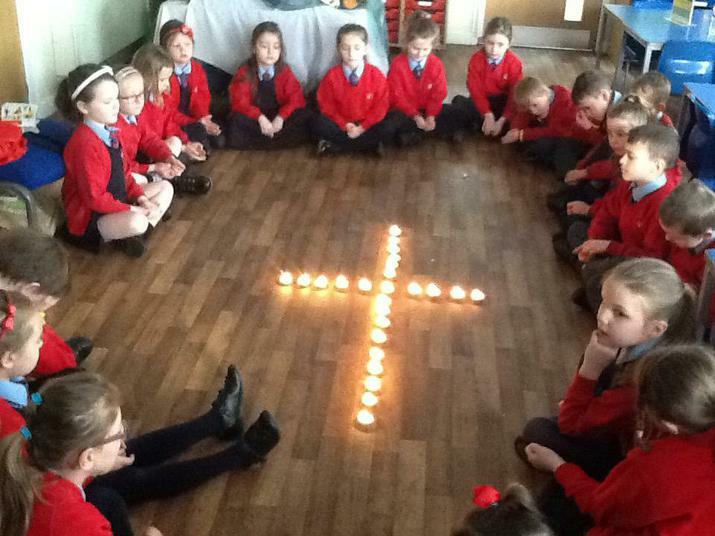 Finally, we thought about Jesus' invitation to pray in the garden with the disciples. 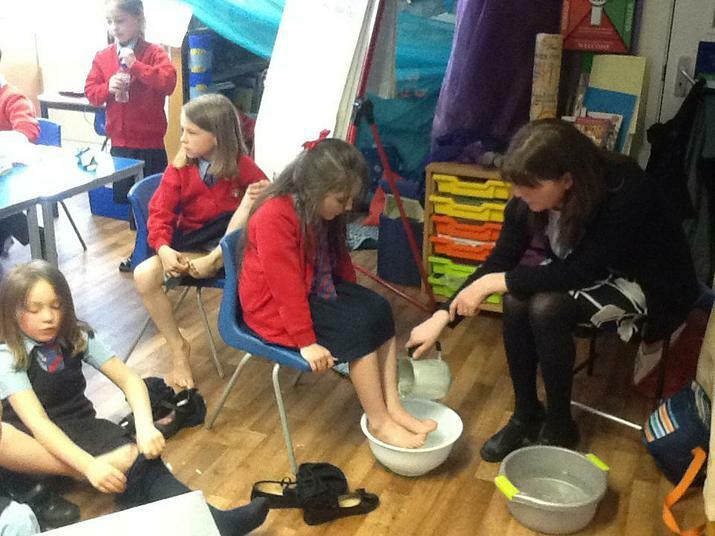 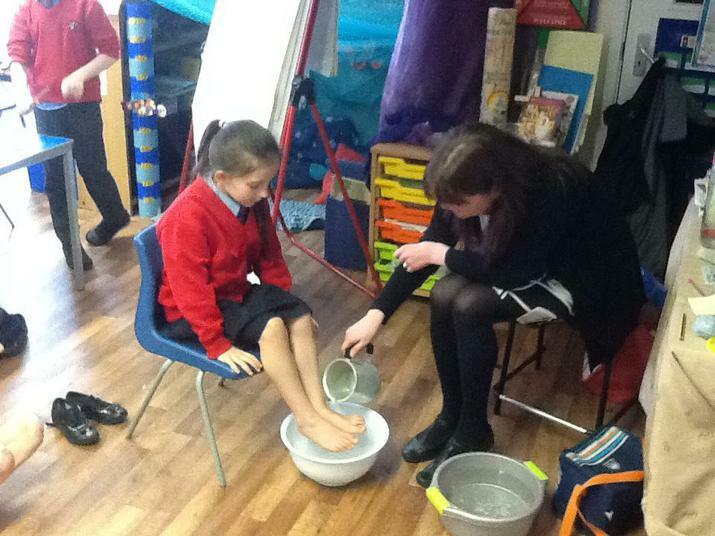 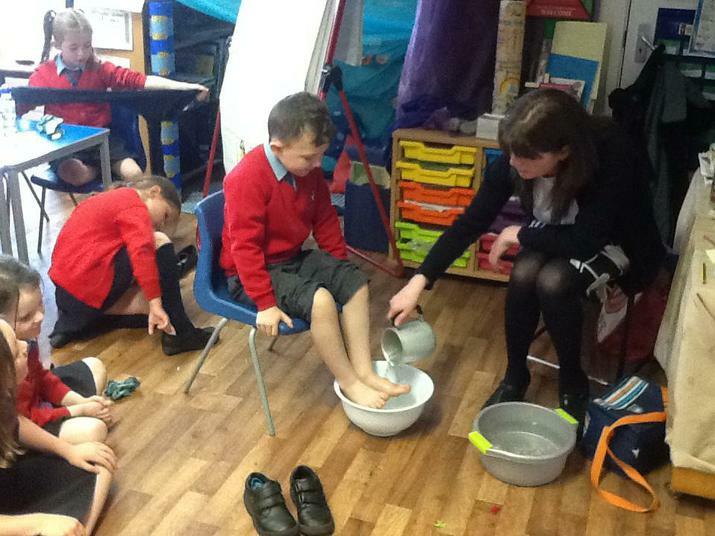 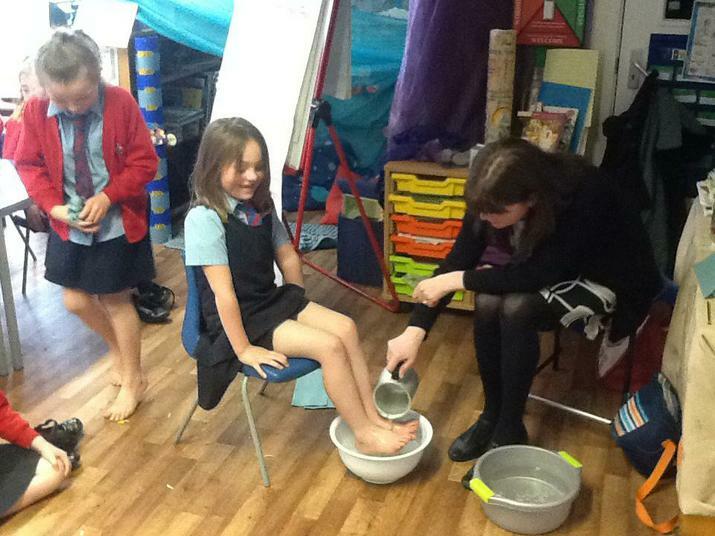 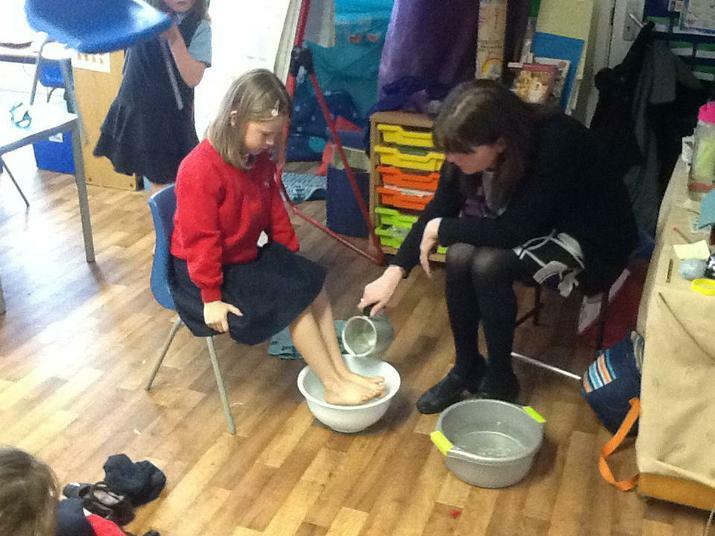 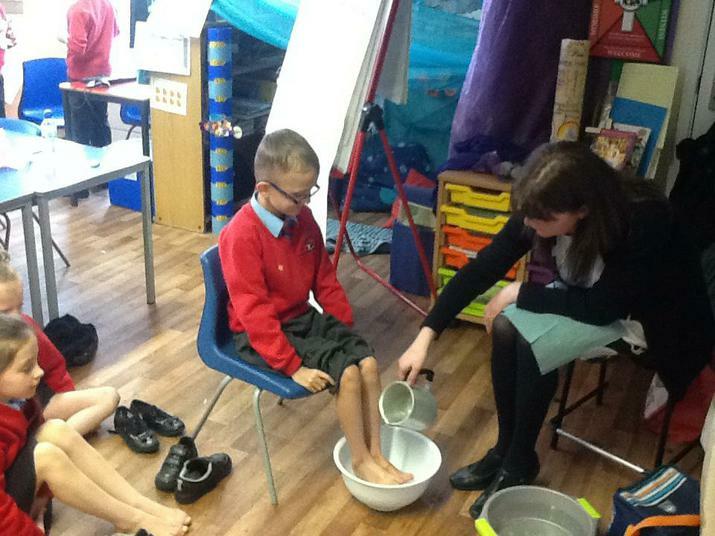 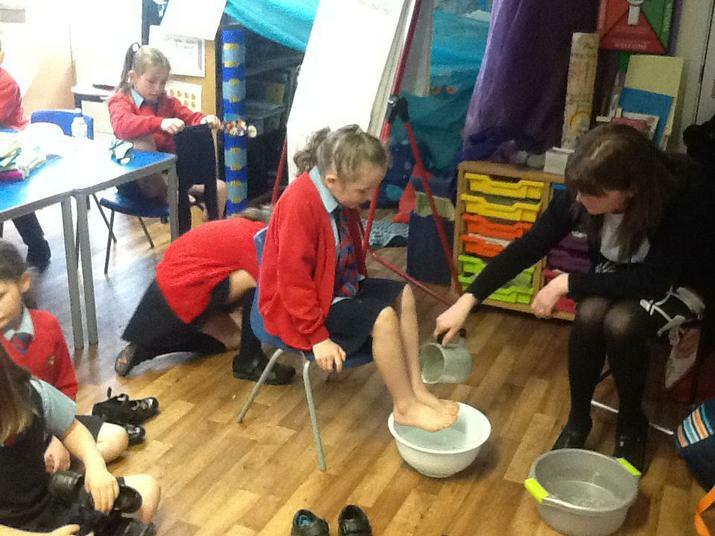 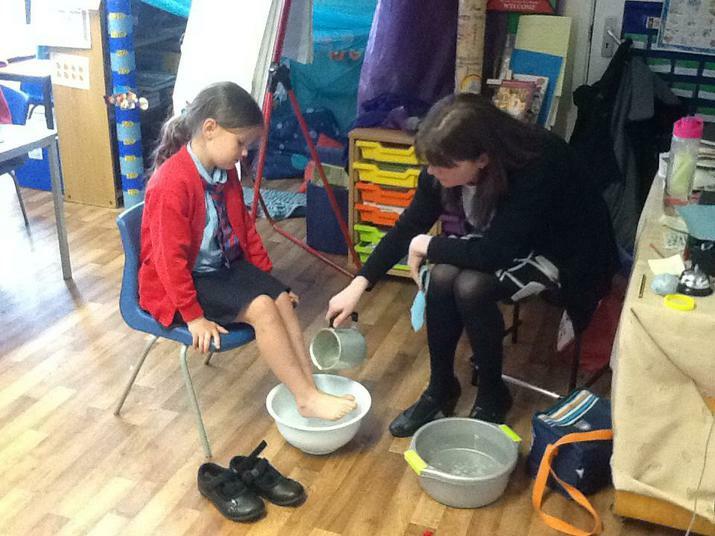 Some of us chose to have our feet washed. 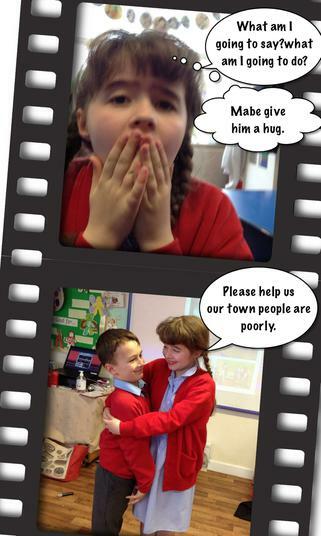 We watched the video for 'The story of three trees'. 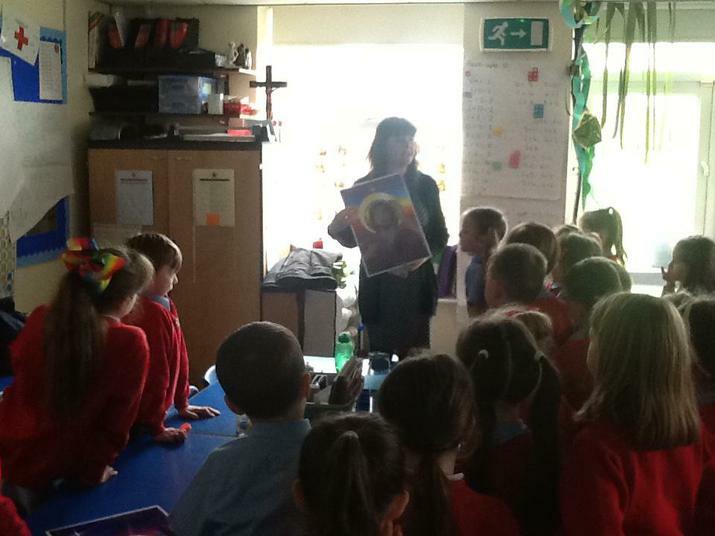 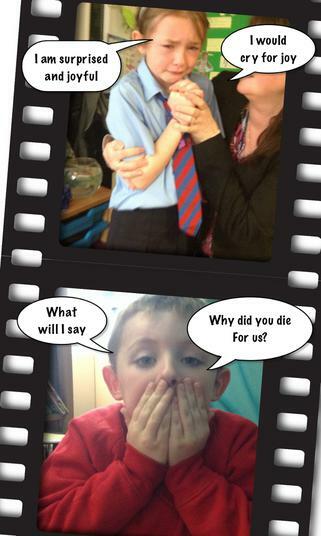 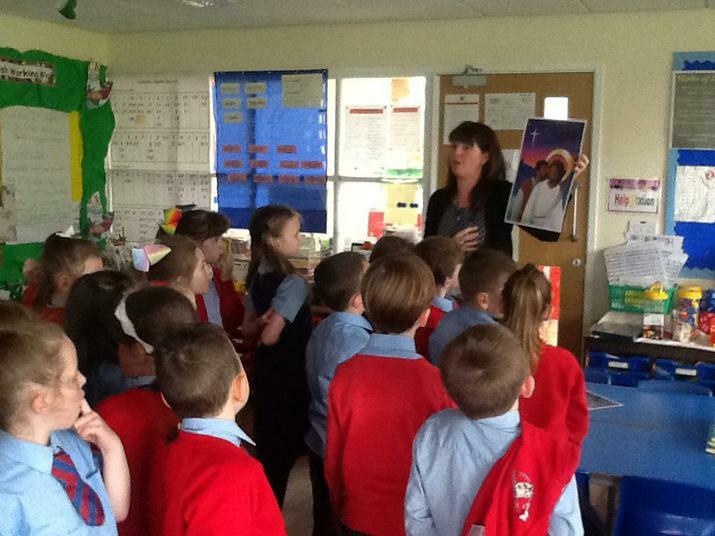 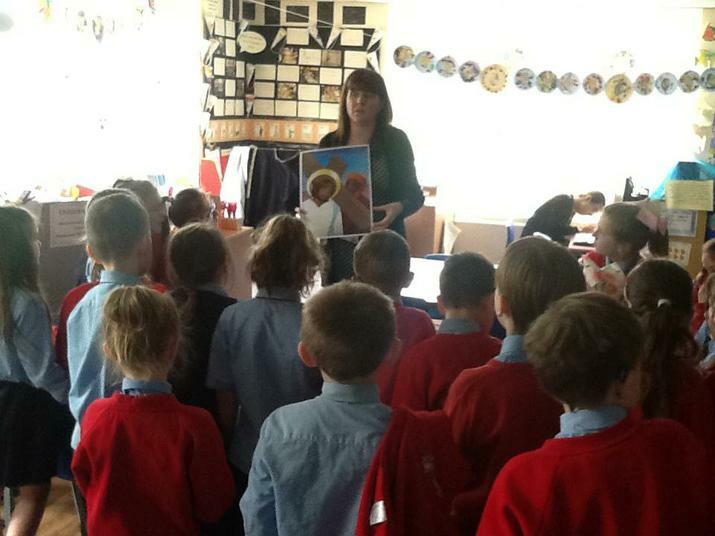 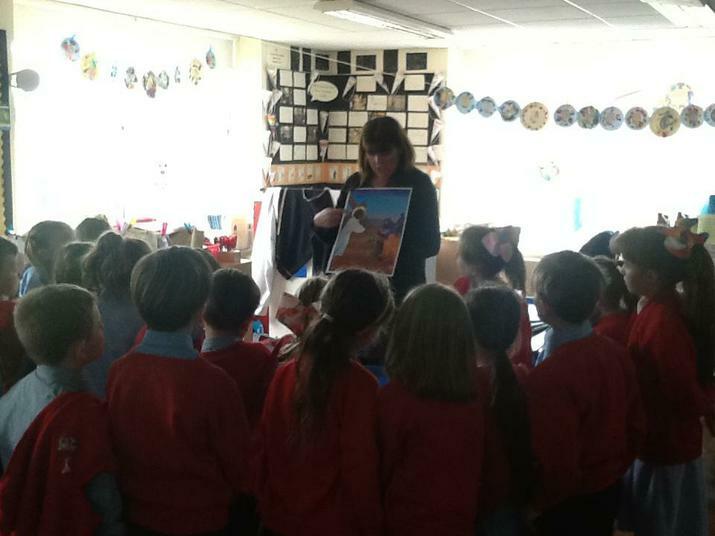 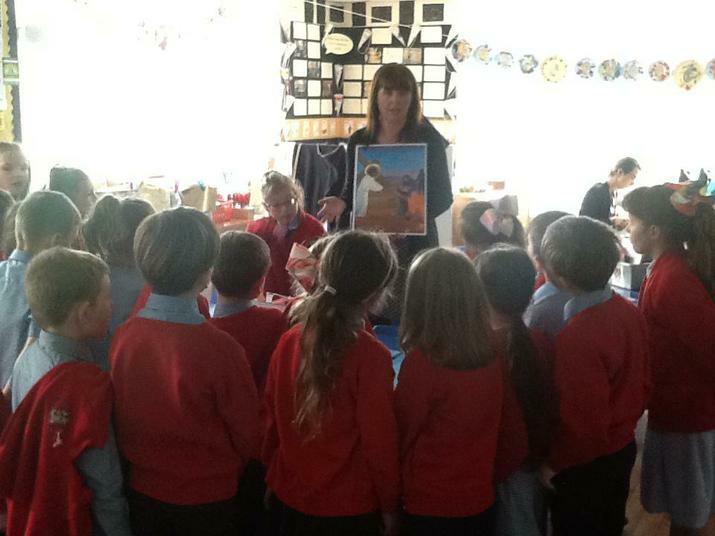 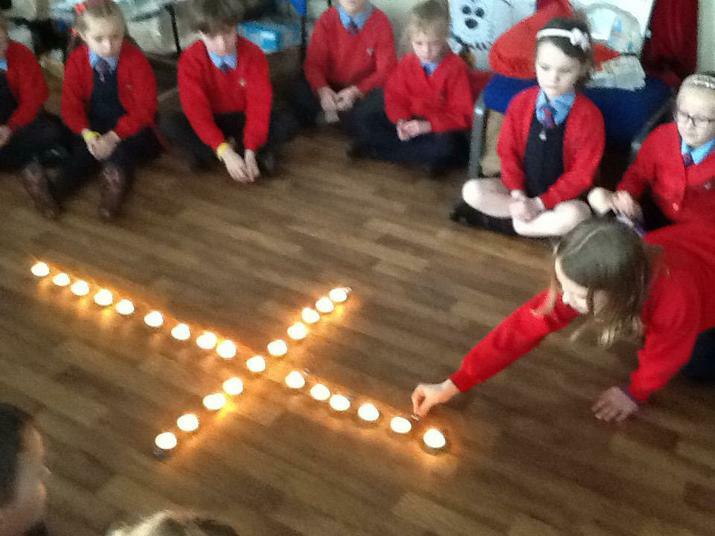 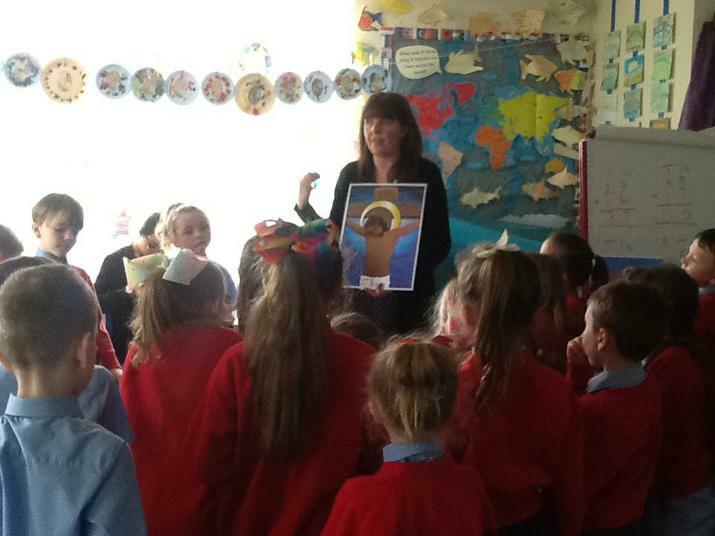 Then we went on a stations journey around the classroom to recall the stages of Jesus' final footsteps before his death.